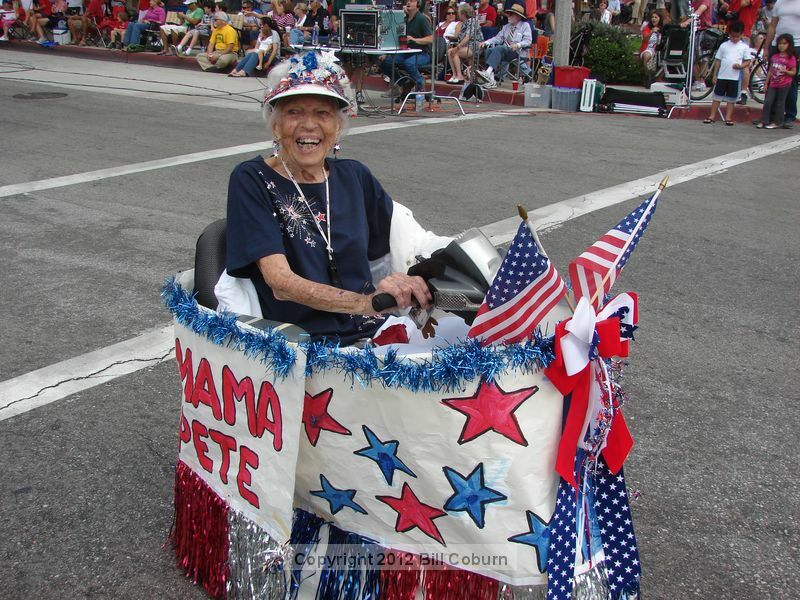 Press Release posted 6/12/13 – The Sierra Madre 4th of July Committee announced this week that it will honor the memory of Marjorie “Mama Pete” Peterson with a “Hometown Hero” recognition in the upcoming 2013 parade and festivities. The posthumous honor comes as the community collectively mourns Peterson’s passing this week, and the Committee is proud to celebrate her memory during this time of year that she loved so much. In addition to successfully operating Mama Pete’s Nursery School, she was at the forefront of Sierra Madre volunteerism for 70 years. For more information on Sierra Madre’s 4th July celebration, contact Committee Chair James Annes at sierramadre4thofjuly@gmail.com, or the Community Services Department at 626-355-5278. 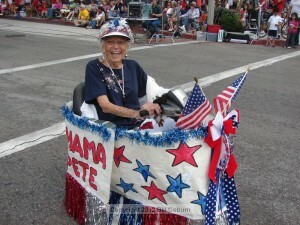 1 Comment on "Mama Pete Named Honorary Hometown Hero"
You were a blessing to many generations. Say Hi to Daddy Pete for us!